MANILA, Philippines - Pilipinas Got Talent Season 5 semi-finalist "Mastermind" mesmerized the judges and viewers anew during the live performance on Saturday, April 16, 2016 at the Resorts World Manila in Pasay City. 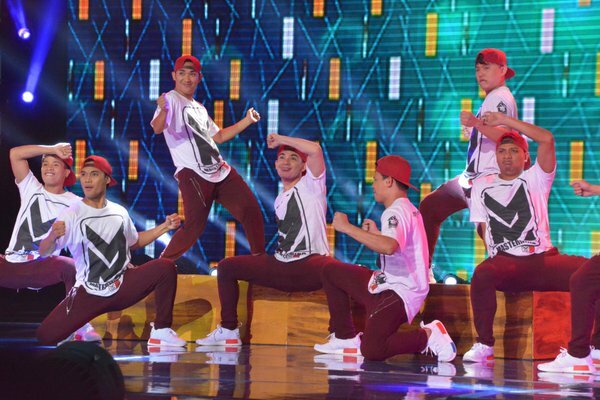 The 9-member group from Borongan, Eastern Samar received approval on their simple, clean yet dazzling choreography. "Gusto ko malaman niyo na binubuhay ninyo ang pagiging buhay kalye ko," judge Robin Padilla said. "Mastermind, simpleng-simple lang pero tusok na tusok, baon na baon," Vice Ganda commented. Some netizens also expressed their support and admiration to the dance group. To vote via text, key in PGT space MASTERMIND and send to 2366. Note: One vote per SIM, per contestant is allowed. ABS-CBN mobile subscribers can cast their votes for free while P 1.00 per vote is being charged for other networks. Did you like Mastermind's performance? Express your thoughts in the comment section below.